Following Khaled Mohamed Saeed’s death at the hands of Egyptian police officers, his family’s decision to release a striking montage of photographs showing him before and after death catalysed mass protests and ultimately revolution. Does the subsequent proliferation of poster images through protestors’ networks highlight the urgent power of the image when embedded within grassroots movements? 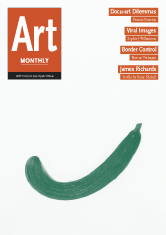 This entry was posted in Art Monthly Monthly on March 19, 2013 by artmonthly.